By MADISON SIEGER, Communications Intern, HIGH NOTES AVANTE PRODUCTIONS INC. 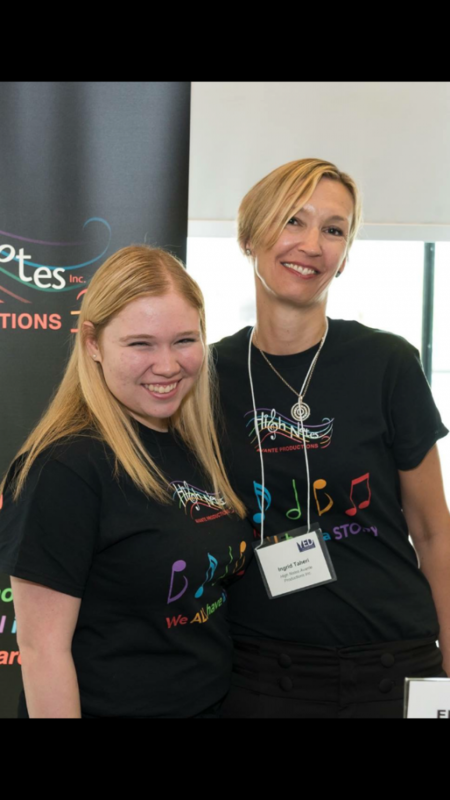 When I first began as a summer intern at High Notes Avante, I wasn’t exactly sure what to expect. The annual main attraction—the High Notes Gala for Mental Health— had just taken place, after months of preparation, blood, sweat and tears. And while the Gala was a smashing success, it meant most of the work for the year was done. Instead of taking a vacation, Ingrid, the Artistic and Executive Director, took me on. My main reason for applying, like many university students, was simply to gain work experience in my field of study. High Notes Avante immediately stood out. The organization’s mission, “To inspire, give hope and support those touched by mental illness–through artistic expression, storytelling and philanthropy,” intensely resonated with me as I, too, have been deeply touched by the struggles of mental illness. Having personally seen and experienced the powerful role art and music can play in overcoming these obstacles, I was inspired by the work High Notes Avante was doing. So, even though the big event was over, we went to work. Fortunately, I had been able to attend the Gala, which helped me write my first press release and contribute to editing the video from the videographers. In addition to lots of research on mental health statistics and fundraising opportunities, I was able conduct several interviews and update the website, which encouraged me to practice skills I had acquired through school. The most challenging—and exciting—opportunities, though, were the ones that I had never encountered at school, like attending networking events, event planning, and participating in board meetings. While some tasks, like designing flyers and donation box cards, were more exciting than others, like proofreading grant applications, everything I learned is a skill I will take with me. I was able to speak with the designers, sponsors, lawyers, accountants, and volunteers who help make High Notes Avante so successful. I got to meet with artists and musicians who earnestly and generously use their talents to fulfill the organization’s mission and vision to improve the image of mental illness. Best of all, I got to work under the guidance of someone—an employer—who truly considered my opinion, and that has been the biggest lesson. In her line of work, aiming to break down stigma and encourage those with mental health issues to speak out, Ingrid understands the delicate landscape she must navigate, and it is deeply inspiring to have experienced that same empathy as an employee. Above all the internship opportunities I am grateful to have received, it is her work ethic—the mentorship—I am most glad to take away from this experience. Unlike interns in the past, I cannot point to one, specific event to prove what I have accomplished in my time here. Rather, it has been a handful of perhaps smaller but equally important activities, including earning the good-graces of Pook, the furry, friendly unofficial chief of High Notes Avante. While it’s true, I was not sure what to expect when I first began as an intern, I know that I am leaving not just as a better employee or communicator, but community member. Please send your resume to highnotesavante@gmail.com by August 20th if you would like to be considered for a part-time opportunity starting in September.